Management and staff of Grantley Adams International Inc paid glowing tribute to two long serving airport employees who together spent over 80 years in the local aviation industry. During a retirement function last Friday, Terminal Services Supervisor, Hampton Holder and Senior Operator, Mr. Curtis Dottin, called it a day after spending more than 40 years each between Seawell Airport and Grantley Adams International. Mr. Dottin who joined the Ministry of International Transport on January 6, 1973, subsequently joined GAIA Inc on January 16, 2006 when it took over full operations of the airport. He was described as a model employee who showed commitment and dedication to the company and achieved eight consecutive years of Perfect Attendance between 2007 and 2014. Mr. Holder joined the ministry as an Assistant Superintendent in February 22, 1971 and also came over to GAIA Inc in January 2006. His colleagues also described him as a dedicated, courteous, helpful and committed colleague who got along well with those in whom he came in contact with. Director of Engineering, Karen Walkes, told those gathered including family members that the retirement of Dottin and Holder represented the end of an era, which had seen the airport transitioned in the 1970’s from Seawell airport t to the Grantley Adams international airport and the recent expansion. On behalf of the Board, Management and staff of GAIA Inc, we wish them both well in their retirement years. 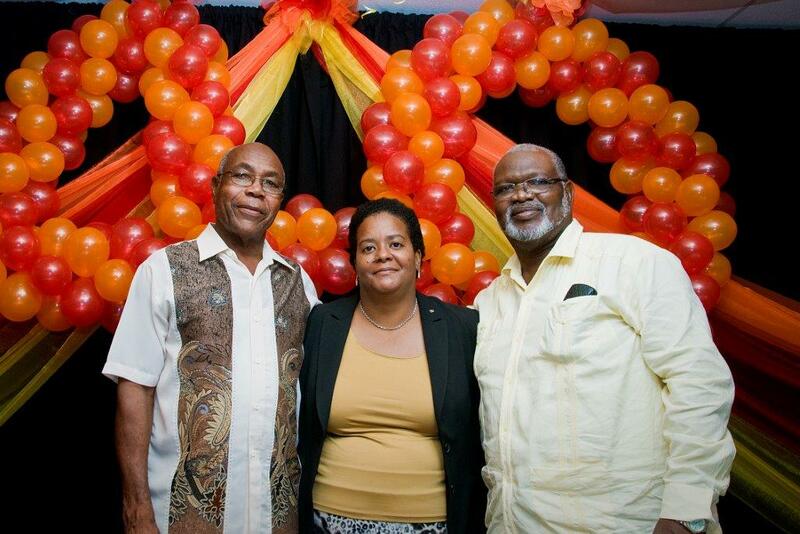 Director of Engineering, Karen Walkes flanked by her retired employees, Terminal Services Supervisor, Hampton Holder on left and Operator, Curtis Dottin.